OTTO is an Open-Source “music-making workflow, in one box” | #MusicMonday « Adafruit Industries – Makers, hackers, artists, designers and engineers! The OTTO is built for a modular ‘backbone’ including the Pi, 320×240 RGB screen, ~30 “hardware buttons”, and 4 color-coded rotary encoders. You can help assist the OTTO’s design and capabilities by chiming in on the team’s discord server or checking out the GitHub repo for more info. The OTTO is a complete hardware and software solution, with synths, a sampler, effects, sequencers, and studio modules. The interface is modal, easy to use, simple, but most of all, it encourages experimentation. The graphics are quirky, and the workflow is minimal. That sounds cool and all, but haven’t I heard about this before? 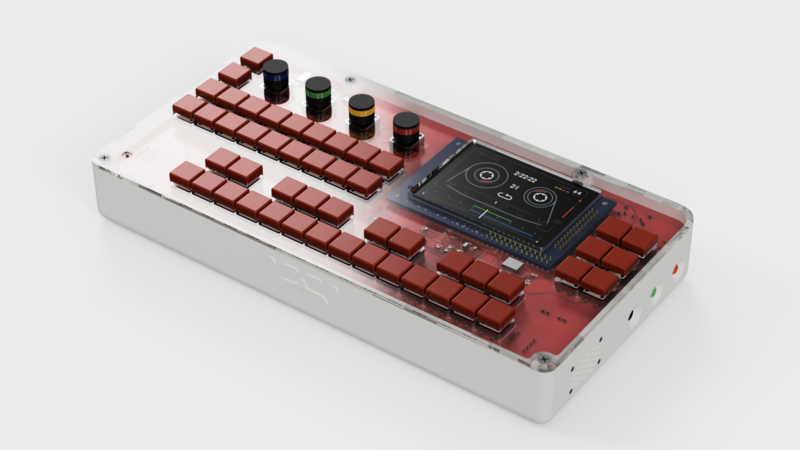 Yes, the OTTO is heavily inspired by the OP-1, but it is not an OP-1 clone. If you want an OP-1 you can get it here. At this point it might be important to mention that the OTTO is not, and will never be, a commercially aimed product. It is open source by nature, in both hardware and software. If you want an OTTO, you’re going to get your hands dirty, if not with the code, at least with the hardware. Now that proper introductions are made, we would like to invite you to our discord server where we hang out and discuss all things OTTO.